This is a story of a flawed business strategy being pursued by one of the most powerful, and allegedly a not-so-clean, CMD of a mega public sector entity. He has incurred the wrath of the Prime Minister’s Office (PMO), reportedly got rid of his Secretary, allegedly caused a huge loss to the exchequer, and possibly crafted tenders to favour select foreign suppliers. Yet his juggernaut moves on. Despite several charges, Anupam Shrivastava continues, and thrives, as the head of the state-owned telecom major, BSNL. The reason: the blessings of a brother of his former boss, Ravi Shankar Prasad, the former telecom minister, and a powerful lobby within the PMO. In the recent past, Shrivastava allegedly caused a Rs. 1,000-crore loss to the exchequer as he released unauthorised payment to a subsidiary of a Chinese firm. He issued advance purchase orders to Finnish Nokia and Chinese ZTE to supply network equipment for the firm’s Rs. 6,000 crore national mobile network expansion. Critics charge that the tenders were drafted to favour the two firms. Recently, JS Deepak, the former Secretary (Communications) was shunted out because of the delays in the laying of optic fibre cables in the North East. However, the fault lay with Shrivastava, who had cancelled the tender. 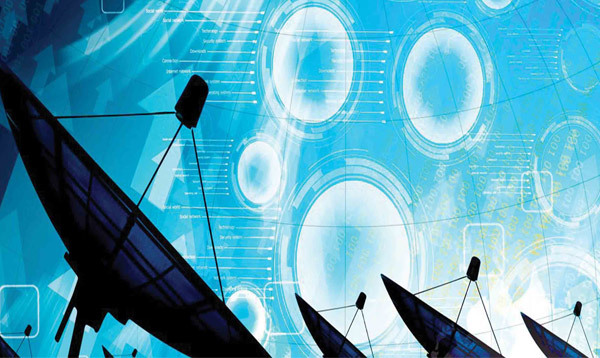 This article focuses on the CMD’s myopic vision to expand in 2G, even as the Indian private players, and other majors worldwide, aggressively move towards 3G and 4G. ALREADY Chhattisgarh CM Raman Singh has raised concerns about 2G in LWE areas installed by BSNL, now other states too have objected. World over, 2G services are being phased out, so what is BSNL doing? When most of the leading Indian telecom operators are focusing on 4G rollouts, Bharat Sanchar Nigam Ltd (BSNL) has placed orders for 2G system in large numbers. Last year it invited bids for procuring 3.10 crore mobile connections, out of which 59 per cent is 2G, 36 per cent is 3G and just under 5 per cent is 4G. The details are given in Table 1. But, the incumbent Indian telcos are buying the technology in just the reverse order—80 per cent is 4G, 17 per cent is 3G, and 3 per cent is 2G. 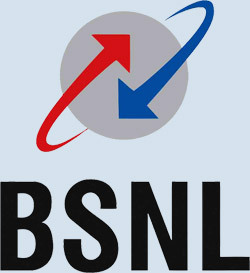 BSNL has already placed orders on Nokia and ZTE for the above project which is worth Rs. 6,682.44 crore. 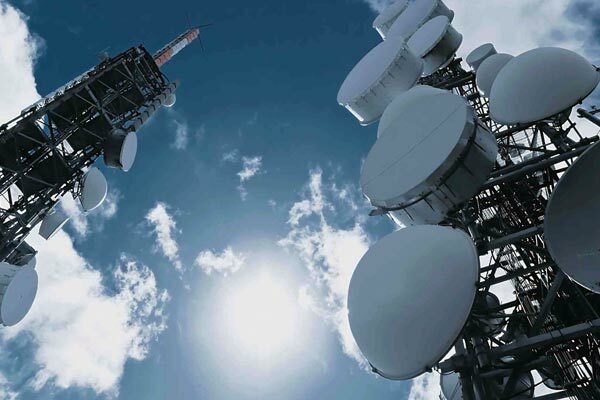 It is making new investment in the 2G network for replacing the old 2G network on the grounds that old 2G equipment consumes more power and thus has higher operating cost. But this objective of opex reduction can be achieved by closing old 2G network and putting new 3/4G BTS sites at these locations and migrating 2G customers to 3/4G services. Even otherwise also, execution of the project to replace the old 2G network with new 2G equipment will take at least one year and only one year will be left by the time the 2G license of BSNL expires in April 2019. Currently, BSNL is using non-liberalised, administratively allotted spectrum in the 900 MHz and 1800 MHz bands for providing its 2G services. BSNL has total of 138.2 MHz in the 900 MHz band, and 67.4 MHz in 1800 MHz band. 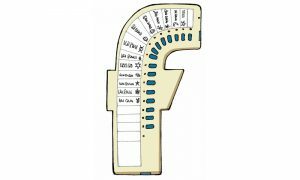 The spectrum was allotted in 1999 and will expire in April 2019. However, if BSNL wants to continue using this spectrum after April 2019, it has to pay the market price and the same can then be used for providing any type of services—2G, 3G or 4G. ONE of the schemes to deal with the Left Wing Extremism (LWE) states is the LWE Mobile Tower Project. The aim is to improve mobile connectivity in the affected areas; Phase 1 has been completed, and now the focus is on Phase II and North East. According to media reports, “As a part of the project (LWE), VNL (Vihaan Networks Ltd) has set up 1,315 solar-powered telecom towers in the region using indigenously designed and manufactured technology…. 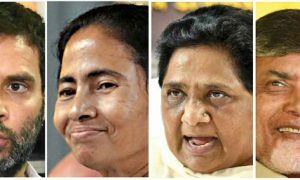 It will also be operating and managing the towers for a period of five years.” However, as is obvious, security needs to be paramount in both the LWE and North East states. This is why critics are sceptic about the use of Chinese technology to provide mobile connectivity in such areas. In the past, the ministry of home affairs raised the issue of China’s growing presence in the Indian telecom sector. In 2010, the director general of the Cellular Operators Association of India informed the media that the government told the mobile operators that their deals with Chinese companies “could not go ahead right now” because of security concerns. In 2013, media reports indicated that India wanted to establish a lab to test for the presence of “spyware, malware and bugging software” in telecom equipment supplied by foreign firms, and especially the Chinese ones. This was after the US banned China’s Huawei and ZTE from “winning contracts connecting phones from sea to shining sea”, and Australia barred Huawei from “supplying the nation’s nascent national broadband network”. But, at the 2015 auction price, the 2G spectrum held by BSNL is worth Rs. 56,875 crore. Can BSNL afford it? Even if BSNL wants to retain a part of it – say, 5 MHz in 900 MHz, it has to pay at least Rs. 40,325 crore at 2015 price; and for 5 MHz in 1800 MHz, it must pay at least Rs. 10,557 crore. Running 2G services at market (auction) determined price does not make business sense for offering 2G service. BSNL has already procured 2,199 BTS equipment capable only for 2G services for the Left Wing Extremism (LWE) project (wasting Rs. 3,241.22 crore), and then in USOF (Universal Service Obligation Fund) funded North East Region project, which is worth Rs. 3,000 crore and underway. Recently, a meeting of the Review Group on LWE headed by the Cabinet Secretary was held on August 3, 2017. In the meeting, all the states raised the issue of poor coverage and also demanded that henceforth only 4G technology equipment shall be procured. Under Phase I, 2,199 mobile towers have started radiating, and 156 additional towers are in the process of installation (see Table 2). In the next phase, 2,726 mobile towers are planned for 84 districts to be funded by the USO Fund. In the meeting, the Chief Secretary of Jharkhand Raj Bala Verma said that “Phase II should be 4G enabled, unlike the Phase I towers that are 2G enabled. 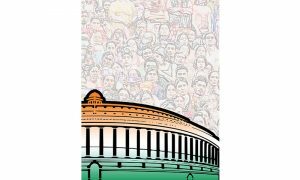 The present towers in spite of having high financial investment are not giving desired output, as they do not enable data services.” She also stressed that “optical fibre networks, wherever feasible, should be laid.” Similar issues were raised by other states too. The Chief Secretary of Maharashtra, Sumeet Mallick stated that there are number of blind spots where there is no connectivity, which needs to be addressed by DoT. LAST year, in an interview with a leading newspaper, Anupam Shrivastava, CMD, BSNL, justified why he wishes to focus on 2G and 3G, and not on 4G. He said that BSNL didn’t have “capital appetite” to buy 4G spectrum, which was expensive and, hence, may prove to be “expensive proposition”. He estimated that the company may need to spend `25,000-30,000 crore on pan-India 4G spectrum, which was equal to its annual turnover. Hence, he wants to use BSNL’s resources in the “best possible manner”. As he explained in the interview, “Unlike private operators, we have huge landline assets, so we are thinking in terms of utilising our landline assets that is our optical fibre and copper cable, and come out with Wi-Fi hotspots. Now, these Wi-Fi hotspots do not need any spectrum expansion, and they work in two ways – extension of broadband services, and they can be linked with 2G, 3G networks that we have so it works like 4G hotspot. So 4G of BSNL is coming through Wi-Fi hotspots mainly.” He added that the company had over 2,500 hotspots, which will be increased by another 40,000 over two years. Is this strategy merely to help a major private telecom giant? Responding to such complaints, the Joint Secretary of the DoT in the meeting said that facilities for data services can only be provided in the Phase II towers. Proposal for the additional mobile towers with adequate capacity is being processed by DoT. BSNL has already wasted government’s Rs. 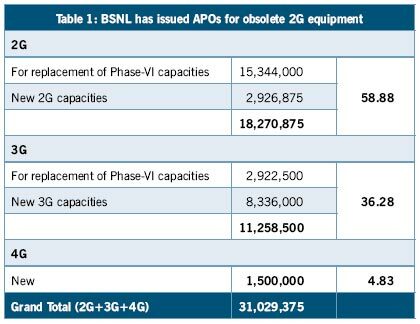 3,241 crore on buying 2G under Phase I, which is an outdated technology. Additional orders for about Rs. 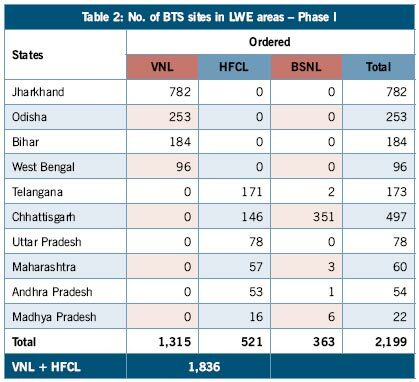 459 crore were also placed for more 2G BTS (base transceiver station) sites in the LWE areas. Under this project, private vendors—Vihan Networks Ltd and HFCL—are being paid huge amounts for operation and maintenance of the network and providing services. About half of the project cost involves services post commissioning. The contracts awarded to the companies were approved on the basis that they will employ local people as security guards for guarding 24×7 the BTS sites in two shifts of 12 hours each with each shift having two security guards. While paying the guards, they also have to ensure compliance with local labour laws. This has been stated in DoT’s note while justifying higher opex for the contractors. Operation of the network involves mainly manpower. In the Cost Estimation, cost of two No. of Security Guards has been taken @ Rs. 15,000 per month fixed for entire period of agreement ie for five years. But minimum wage for Watch & Ward is being revised by Labour Commissioner every six month. As per Chief Labour Commissioner (C) memo dated 18.03.2013 the minimum wage for Watch & Ward is Rs. 231 per day wef 01.04.2013 and vide memo dated 19.09.2013 minimum wage for Watch & Ward is Rs. 241 per day wef 01.10.2013 ie on an average hike of 8.6% per annum. Also, the employer has to bear the cost of EPF, ESI, Administrative Charges, bonus & leave reserve as per applicable labour laws, as revised from time to time. This factor might have been also built up in opex by the bidders. The difference due to rise in Minimum wage for Watch & Ward during five years has been calculated. It comes to Rs. 34.5 crore plus EPF, ESI, bonus, etc. Further, CET feels in naxal affected areas the vendor will have to man the site round the clock which could not be possible with two No. of security guard done as estimated but minimum four security guards should have been accounted for. Financial implication for two additional security guards comes to Rs. 152.88 crore. In August this year, Anupam Shrivastava, CMD of BSNL, wrote two letters to Telecom Secretary Aruna Sundararajan for releasing pending payments for the project. But, should such payments be released without carrying out any verification on the number of people deployed at each site? As per our information, no such manpower is provided at the site. Operators across world are shutting down 2G service. Operators have already shut down 2G service, e.g. AT&T in the USA shut down 2G service in January 2017, Singtel along with two operators have shut down 2G service in Singapore in April 2017. Only one operator is offering 2G service in Canada and the rest have shut it down. In Australia, Telestra and Optus have already shut down the 2G service and Vodafone has announced a shutdown by September 2017. 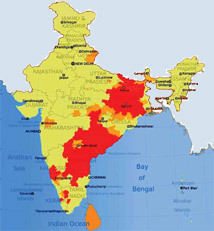 No private operator in India is making any fresh investment in 2G service. In Taiwan, all 2G mobile customers have been asked to upgrade to 3G/4G by June 2017. So what is BSNL doing?